Networks are a highly dynamic form of individual and organisational relatedness. As repositories of knowledge, expertise, and boundary-spanning connections, networks are very often more than the sum of their parts. HEARD is pleased to be a member of numerous networks, which allows the organisation to enable and strengthen others—and to benefit from such exchanges in turn. Human health is particularly appropriate to generous-spirited and easy-to-reconfigure networks, enabling all members to access what might otherwise be difficult to obtain: knowledge, information and informed contacts. As HEARD continues to grow, it will do so in part because of the common cause it shares with its network partners. The ATHENA Network is an international network campaigning to advance gender equity and human rights in the global response to HIV and AIDS. 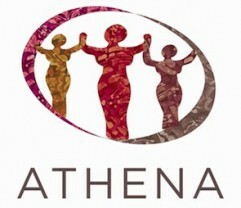 The ATHENA is a global network of individual and institutional members that has been at the forefront of ensuring the centrality of gender equality and human rights in the HIV response since 2006. Bangor University is one of the oldest and most prestigious universities in the UK. The University is located in the beautiful North Wales and has a long tradition of excellence and exceeds expectations, both for academic standards and student experience. CORA (Caring for Orphans in Rural Areas), is a fully registered non-profit organisation. The organisation’s roots lie in the rural areas of the Eastern Cape, where abject poverty and lack of opportunities for both adults and children drove them into action. Whilst schools and other education facilities do exist, there are glaring gaps for children of pre-school age. These early years are critical for a child’s development as they are a time of rapid physical, emotional and mental growth. CORA therefore believes in basic early intervention and addresses these needs by developing pre-school enrichment centres for early childhood development and learning. HSG is the first international membership organization fully dedicated to promoting health systems research and knowledge translation. HSG's mission is to convene researchers, policy-makers and implementers from around the world to develop the field of health systems research and unleash their collective capacity to create, share and apply knowledge to strengthen health systems. The International Disability and Development Consortium is a global consortium of 28 disability and development non-governmental organisations (NGOs), mainstream development NGOs and disabled people's organisations (DPOs) supporting disability and development work in more than 100 countries around the world. The aim of IDDC is to promote inclusive development internationally, with a special focus on promoting the full and effective enjoyment of human rights by all persons with disabilities living in economically poor communities in lower and middle-income countries. The International AIDS Society (IAS) is the world's largest association of HIV professionals, with members from more than 180 countries. IAS members work on all fronts of the global response to AIDS, and include researchers, clinicians, policy and programme planners and public health and community practitioners on the frontlines of the epidemic. International Society for the Prevention of Child Abuse and Neglect (ISPCAN) is the only multidisciplinary international non-profit organization that brings together a worldwide cross-section of committed professionals to work toward the prevention and treatment of child abuse, neglect and exploitation globally. READ operates primarily as an educator development agency in the fields of language, literacy and communication and is a leader in educational assessment, materials development and resource provision. READ aims to help people throughout southern Africa develop their reading, writing, learning, information and communication skills so that they may become independent, life-long learners. The South African National AIDS Council (SANAC), brings together government, civil society and the private sector to create a collective response to the scourges of HIV, TB and STI's in South Africa. The council is chaired by the deputy president of South Africa. Stellenbosch University is one of the top research universities in South Africa with 10 faculties over 4 campuses. A diverse and welcoming campus community assists SU in expanding its knowledge base, strengthening its status as a leading institution, and remaining an active role player in building a democratic South Africa. It also ensures that the University delivers critical and active graduates, well able to take their place in a multicultural civil society. UCT has a proud tradition of academic excellence and effecting social change and development through its pioneering scholarship, faculty and students. UCT is one of the leading higher education institutions on the African continent and has a tradition of academic excellence that is respected worldwide. The University of Oxford’s distinctive structure, born of its history, is a source of strength.The University of Oxford aims to lead the world in research and education in ways which benefit society on a national and a global scale.